Looking for coach hire Genoa? Then Bus-italy.com is the perfect choice for your needs. In this post, we’ll explore how to pick the right coach company for you, what to look for, and what sets us apart as your number one choice. When you choose to hire a coach in Genoa, it’s absolutely crucial that said coach arrives quickly and on time. This means that when you agree to meet somewhere, you need to be absolutely confident in the knowledge that your coach service is actually going to be there at that time. Sounds basic right? Well it’s something that a lot of coach companies simply fail to deliver on. Not us! This becomes even more important if you plan on using coach hire Genoa for travel to and from your airport. Airport transfer is one of our top services, and by using us to get from point A to B, you can rest assured that you’ll be able to arrive on time and with plenty of time left over for shopping at the airport. What’s also very important when it comes to coach hire Genoa, is the coaches. That is to say the actual quality of the vehicles that are going to be driving you around. Because it’s very easy to find coach hire cheaply if you aren’t bothered about this! The good news is that all of our coaches at Bus-italy.com are simply exquisite in terms of their quality, their luxuries, and their features. Our coaches are huge with plenty of leg room, and lots of space to lay out luggage or shopping. Not only that, but our coaches are also packed with extras and important features. We have pull out tables for working on a laptop, we have WiFi, we have power points, we have blinds to keep the sun out. Yes there is air conditioning, and not only do our seatbelts work but they meet the highest possible standards. The seats are super comfortable and reclinable, so you can lay back and get some shut-eye if you should wish. The windows are huge and bright on the other hand, which is perfect if you want to take photos or just watch the view. Entertaining is provided too. Want to choose some music to enjoy on the trip? Then just hand it to our driver and they’ll put it on for you. Would you rather watch a good movie? We have TVs on board too! Obviously we have toilets. In short, everything that you could possibly need in order to have a great trip! When looking to hire any kind of service, cost is always going to be a factor – unfortunately. And when you heard about our plush and modern coaches, you may have been worried that you were going to need to pay through the nose. Well, more good news! Our coaches are incredibly affordable and in fact we offer the most competitive rates in the area. We keep our costs down by being efficient with our planning, by cutting down on marketing, and generally by not spending money where you don’t get to benefit from it. 100% of our overhead goes to making you comfortable and ensuring you’ll have efficient and reliable transport for the entire time you’re on holiday. So you get the best, for less. There really is no reason to look elsewhere. Another important factor is the driver themselves. When you go on a holiday, you want to make sure that you spend it with people you like. If you find that your driver is unfriendly, or if they are bad at their jobs, then you’re going to spend your trip feeling annoyed and quite possibly unsafe. Not only that, but you will want to get the best possible driver to ensure that you can get to your destination quickly, safety, and on time. And again, this is something that we ensure will happen. We hire drivers from the local area, we make sure that they are all highly qualified and experienced, and we rely on feedback from our customers to ensure that they stay that way. In other words, you can support the local community, benefit from insider knowledge to beat the traffic, and enjoy having a friendly and helpful driver on the journey with you. It’s the best of outcomes. Finally, you need to ensure that your coach hire Genoa is flexible and capable of meeting your requirements. We handle all kinds of journey and all kinds of clients. If you need a shuttle to the airport, we’re there for you. If you’re a large organized tour group, we can give you the experience that you need. And if you’re a company looking to outsource our services and sell them on, we are more than okay with that. If you want to make a trip into the town to enjoy some amazing Italian food, then we’ll wait for you to finish. If you want to travel to a tourist sight and get collected at a different pick-up point, then we’ll make sure our drivers come and meet you where you need to go. We can adapt to meet your demands. 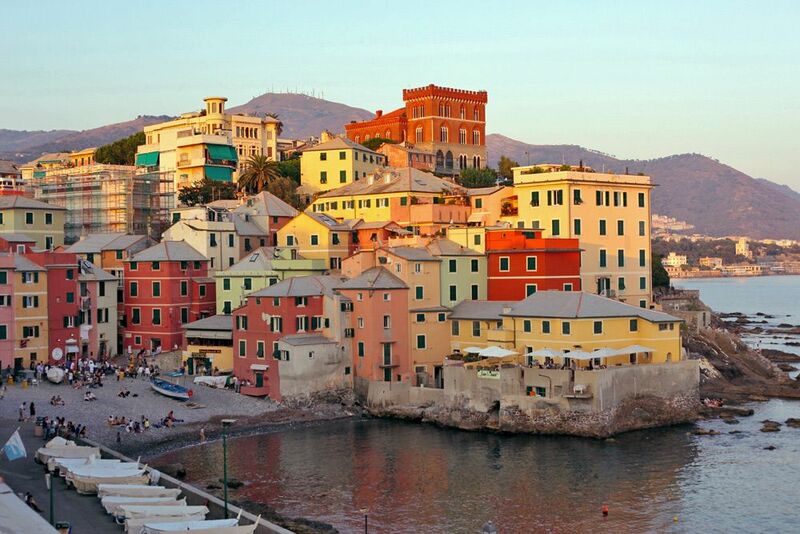 In other words, coach hire Genoa using Bus-italy.com provides the ultimate way to travel. If you want to skip the queues, and see the area in your own time. If you want to enjoy the most luxurious travel possible. If you want to save money. All these things you can do by getting in touch today!